Cinderella’s castle is iconic. The tall spires and bright blue roof are highly recognizable to anyone who’s walked through the front gates of Walt Disney World’s Magic Kingdom. Delayice‘s version is far, far smaller but just as beautiful in its size, scale, and excellent technique. 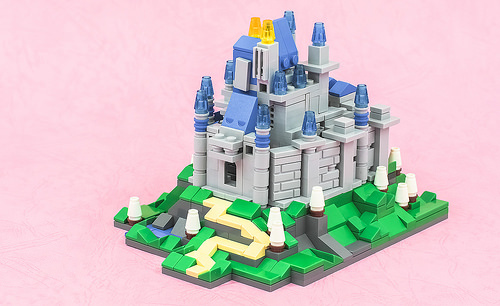 This small-world version makes excellent use of the brick-profile bricks, and the spires are tall and recognizable. The landscaping is simple and effective.